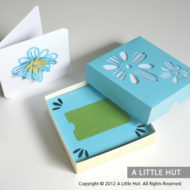 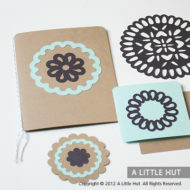 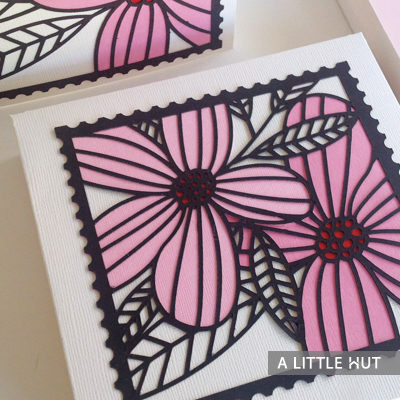 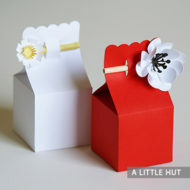 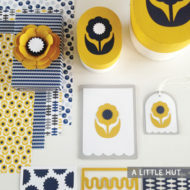 The Daisy Duo Gift Set is based on a sketch that I reproduced for this cutting project. 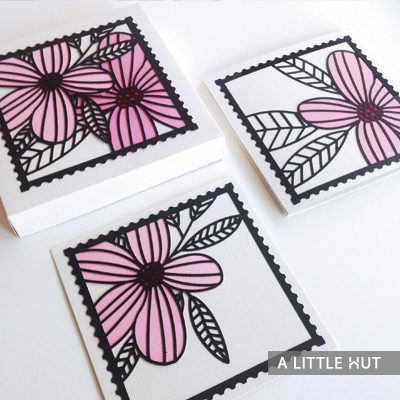 Around the same time I started working on this set, an article on stamp collecting reminded me of my childhood fascination with stamps. 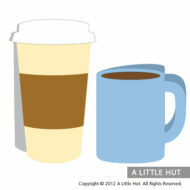 I put two and two together and here we are. 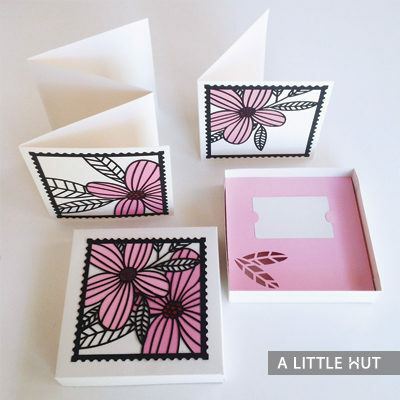 One illustration has two flowers and the other two have them separated in order to leave space for a sentiment. 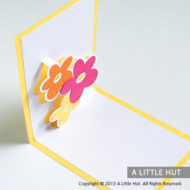 Use a thank you, hello, happy birthday or any other stamp to complete the look of your card. 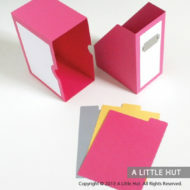 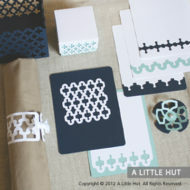 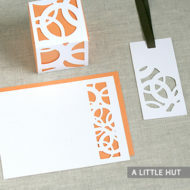 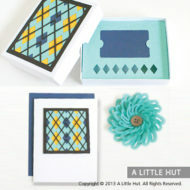 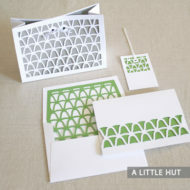 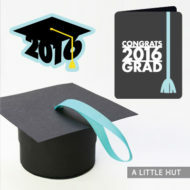 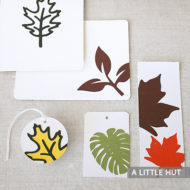 If you’d lie to make a more elaborate project add photos or make a micro-scrapbook with the accordion-style card. 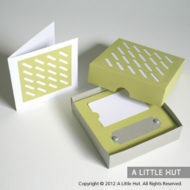 The simple card and the accordion-style card both fit inside the box. 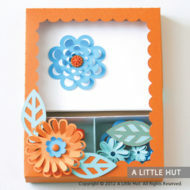 Another gift idea — frame all three stamps to make a trio wall art piece.